Thanks for posting the smartphone pic,Elena! Tis the season for feeding good friends and loved ones around the table. Who doesn’t love a recipe that’s super easy, delicious, a little different but also appeals to most tastes? And a recipe that can be made ahead of time to reduce stress in the kitchen is even more of a find, as far as I’m concerned. So this past weekend my family from southern Ontario were guinea pigs for this new recipe I spotted, which we served along with grass fed beef, Yorkshire pudding and green beans with hazel nuts for an early holiday meal. It was wonderful to feast together and then exchange gifts of love. The potato puffs were proclaimed scrumptious and proved very popular. Here’s the recipe in case you want to give them a try. Heat the oven to 400°F and lightly grease the cups of a mini-muffin tin. 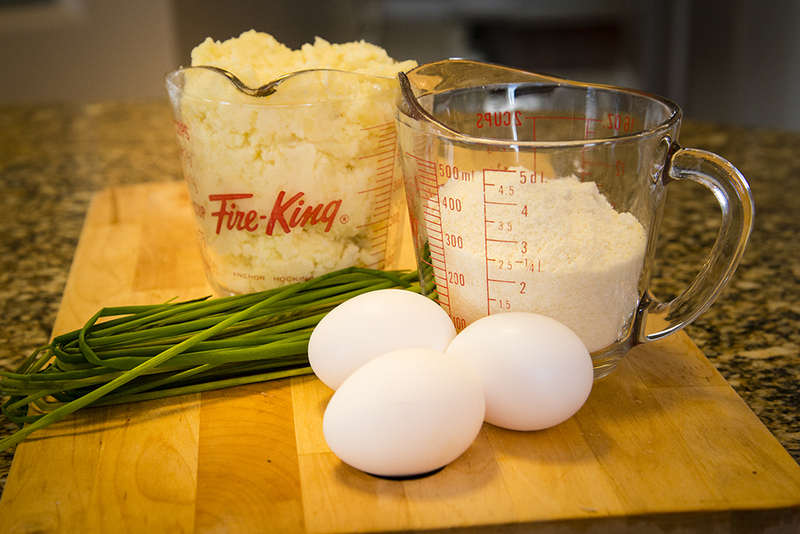 Whisk together the mashed potatoes, the eggs, 3/4 cup of cheese and the chives. Season, if necessary, with salt and pepper. Mound a spoonful of the mixture in each muffin cup. Bake for 20 minutes, or until the potato cups are set, browned on top, and hot through. Let cool for about 5 minutes in the pan, then use a spoon or knife to gently release them from the pan. Serve immediately with dollops of sour cream, if desired. You can bake these and refrigerate for up to 3 days. To reheat and re-crisp: arrange the puffs on a baking sheet and bake at 400°F for about 15 minutes (depending on size). Oh this brings back memories! My mother always made Potato Puff with instant mashed potatoes in a casserole. 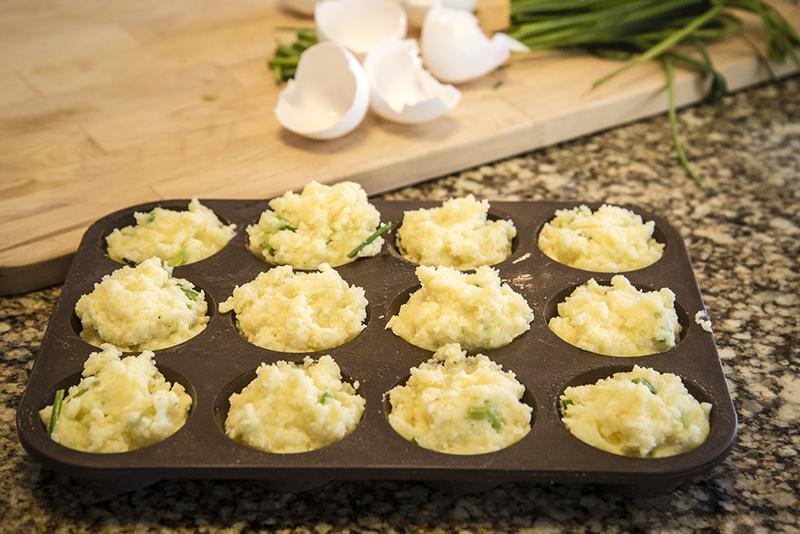 I like that these are made with real mashed potatoes and are in muffin tins- definitely will try these! Finally have a moment to catch up on a few blog posts and so happy to be reading yours. 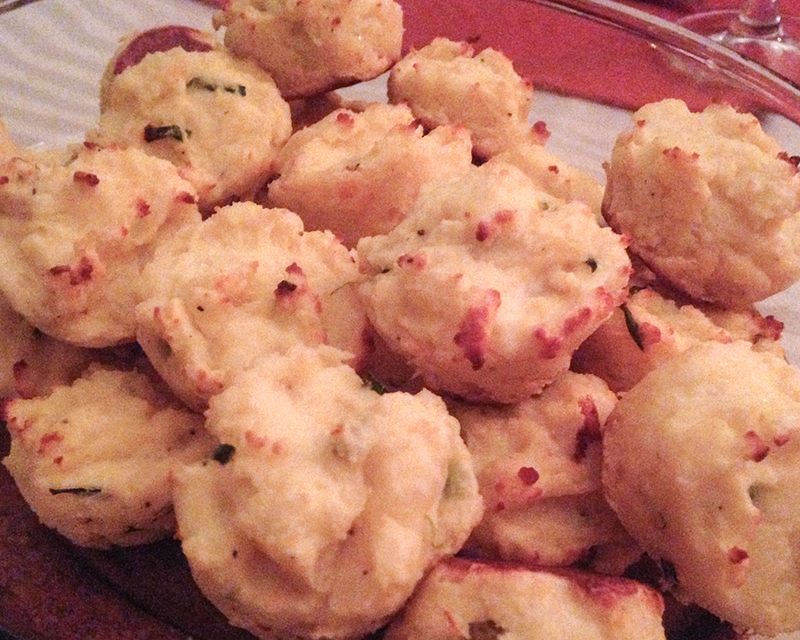 These mashed potato puffs sound delicious and how wonderful that they can be made ahead of time! Thanks so much for sharing this. Will have to give them a try. Cheers! This sounds delicious, Sherry. I love the sound of the addition of grated cheese! Oh, those look so good Sherry! A cross between potato pancakes, and a recent love I found called crispy Lyonnaise potatoes. Thanks for sharing. Lovely post!! Will definitely try these. Thanks. Enjoy the rest of the Christmas season…with your family and friends.. They were delish! 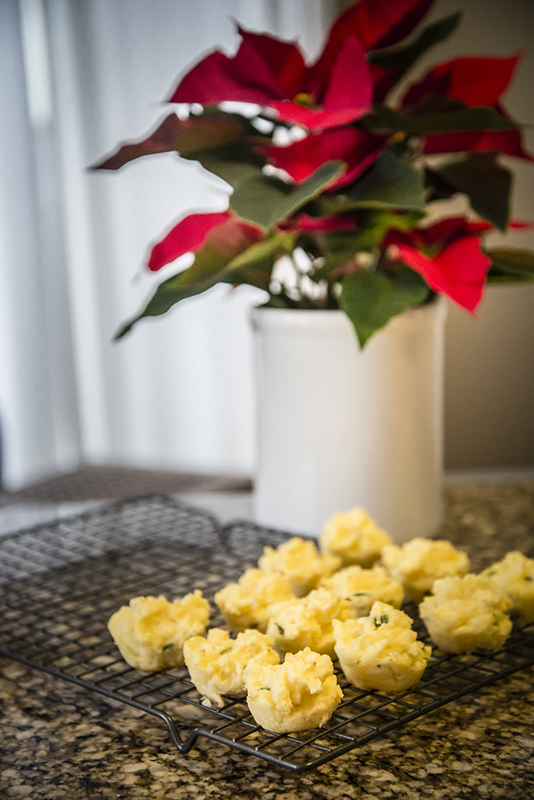 You could also add finely diced red pepper, and with the chives, you get a lovely Christmassy look!